English National Ballet dancer Anjuli Hudson loves traveling and exploring London on her time off and even aspires to someday be a DJ. Wonderbound dancer Danny Ryan cherishes his time fly-fishing in Denver to “take a load off.” And Suzanne Farrell Ballet Soloist Violeta Angelova enjoys fashion, photography, writing and drawing. So what do these three (and many more!) dancers have in common? They all recognize the importance of life outside the dance studio and seek it out in their spare time. 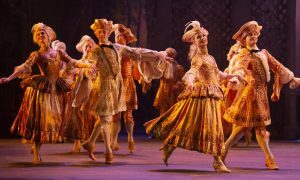 Dance can be very time-consuming, with classes, rehearsals, performances and body maintenance, not to mention time to eat and sleep. Many dancers, however, as focused on dance as they can be during studio and stage time, have outside interests. These hobbies or activities allow them to unwind after a grueling day, de-stress after a long rehearsal and, perhaps, keep them grounded and well-rounded as people. “To have outside interests makes your life richer, makes you more empathetic, gives you a better understanding of the world, broadens your social circle and countless other good things,” Angelova says. And perhaps that makes these dancers better artists as well. Hudson, too, agrees that a good balance between work life and outside life is important. She says she has a huge passion for music, enjoys studying psychology and loves boxed sets of TV shows. She also lives with friends outside of her dance circle, who don’t know a lot about ballet aside from what they see at her performances. 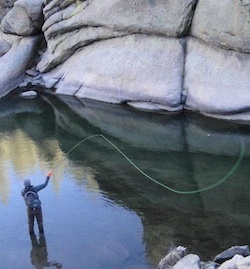 Wonderbound dancer Danny Ryan enjoys fly fishing in Denver during his time away from the studio. Photo by Juls Bicki. Ryan, who was more a soccer player until his sophomore year in high school when he began to take dance seriously, de-stresses by being an avid fly fisherman. Angelova says she, at one point, was fairly ballet-obsessed, with the majority of her thoughts revolving around ballet, but that has changed as she’s grown up. 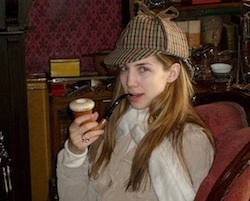 To broaden her life, Angelova says she often works on non-dancing projects like writing and drawing in her spare time. She also enjoys fashion and photography, and she indulges in “non-productive” activities such as shopping, watching TV, surfing the Internet and flipping through magazines. Outside interests like these may actually aid in, not deter from, a dancer’s inspiration, translating over to his/her art form as well. Ballerina Violeta Angelova, once a self-proclaimed ballet-obsessed dancer, now cherishes her free time by engaging in fashion, writing, photography and ‘non-productive’ activities. Photo courtesy of Violeta Angelova. So how can dancers find other interests or learn to unwind outside of their time spent dancing? Finding a hobby outside of dance shouldn’t mean taking away from the dedication to the art form; rather, it means using spare time wisely for enjoyment and release. 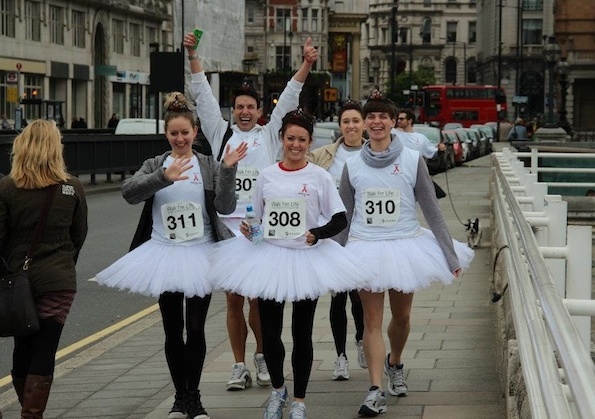 Photo (top): On a day off, Anjuli Hudson and other members of English National Ballet participated in The Walk for Life to raise awareness for HIV and AIDS. Photo courtesy of Anjuli Hudson.